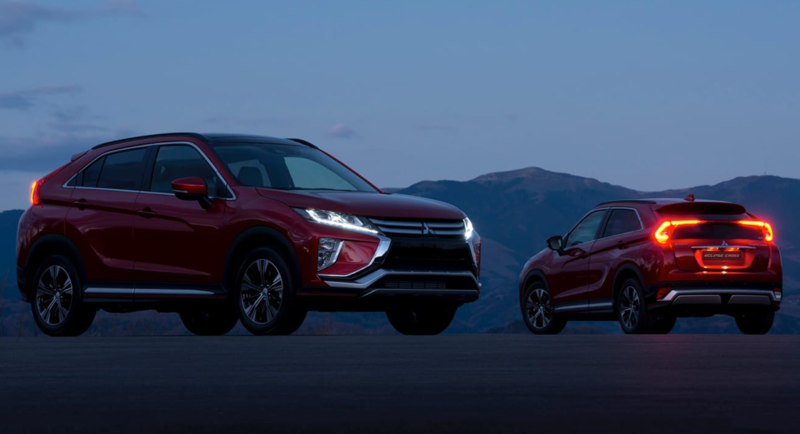 The 2019 Mitsubishi Eclipse Cross is a mainstream compact SUV with a starting price of $23,595. In size within the brand’s lineup, the Eclipse Cross slots right between the sub-compact Mitsubishi Outlander Sport and the larger compact Outlander. Pros: A low starting price will appeal to shoppers who might not have the budget to move from sedan and into a crossover with other brands. Styling is trendy and cohesive and there’s a good amount of standard content. Cons: As a price leader, the Mitsubishi Eclipse Cross has compromises, not the least of which is the brand’s limited dealer network and low resale value. In terms of sophistication, rivals from brands like Honda and Nissan offer quieter and more compliant rides. Looks Best In: Two nice shade of silver are on offer, and Pearl White nicely accentuate the curvy lines of the Eclipse Cross. The vibrant Red Diamond, a reference to the brand’s logo, best fits the flashy styling details and sets off the chrome trim nicely. The interior of the Eclipse Cross can be had in any color as long as it’s black; that could turn away some shoppers, however the design is attractive. Competition: The sub-compact and small compact crossover segment is crowded with competition. Two strong sellers are the Nissan Kicks and Nissan Rogue Sport, while Honda offers the HR-V and Toyota the C-HR. From domestic manufacturers there’s the Ford EcoSport and Chevrolet Trax. Most cars in this segment have compromises in terms of comfort compared to full-fledged compact crossovers, however they are easier to park and more affordable. Ultimately, most vehicles within this segment are best suited as urban runabouts as opposed to highway cruisers. Safety Score: As of publication date the Mitsubishi Eclipse Cross has not yet been fully tested by the Insurance Institute for Highway Safety. Summary: If the unique styling of the Eclipse Cross is appealing, the price is right, and the ride doesn’t seem to harsh for the shopper’s preference, the Eclipse Cross provides the coveted high seating position of a crossover for the price of competitor’s compact sedans. Be sure to test drive other vehicles in the segment, many of which offer more practicality and sophistication, albeit with blander styling.